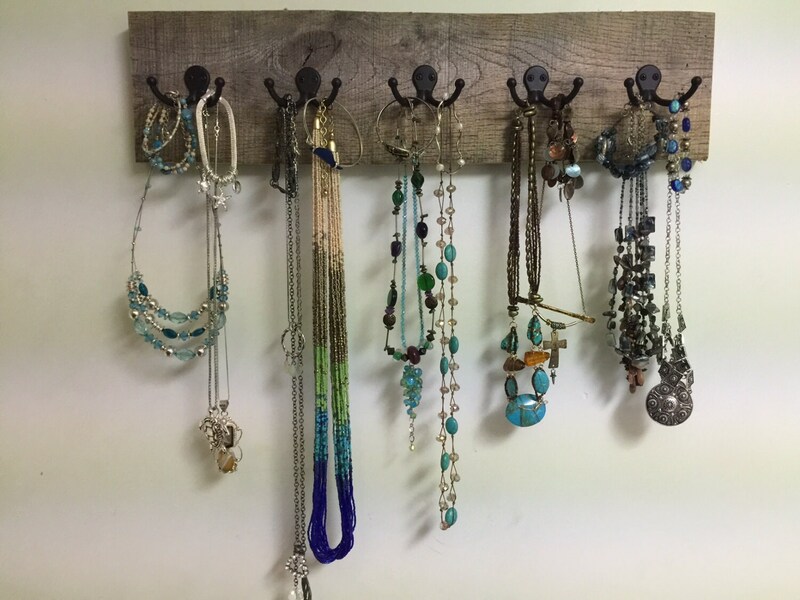 This rustic jewelry holder display rack with 10 hooks was made for a special customer with barn wood. Need a handmade high quality lovely gift, with popular rustic neutral colors, that works with any decor: Here it is, unique and one of a kind, as each piece of barnwood is different. 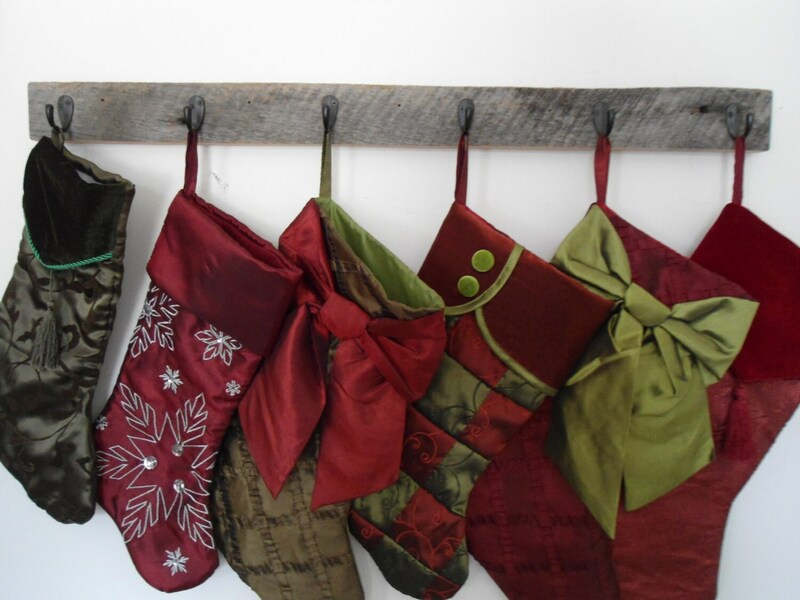 Don't have a fireplace or mantle for stockings? Not a problem. (see last photo with longer piece with single hooks for stockings... 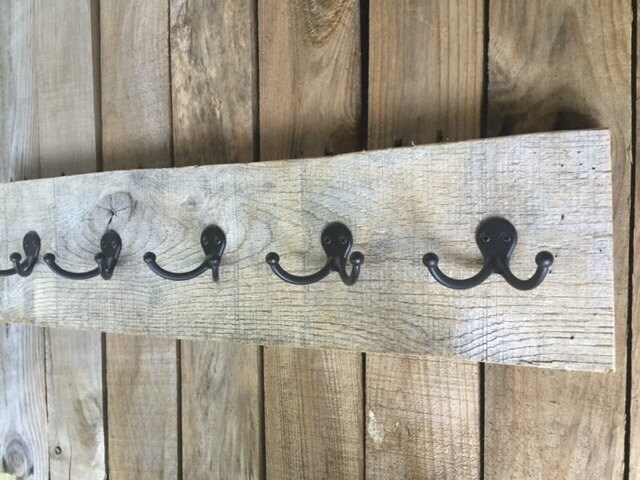 THIS LISTING is for 5 double hooks on a piece of barnwood. This piece jewelry storage solution with 5 double hooks will help you stay organized year round- and it's not just for jewelry. 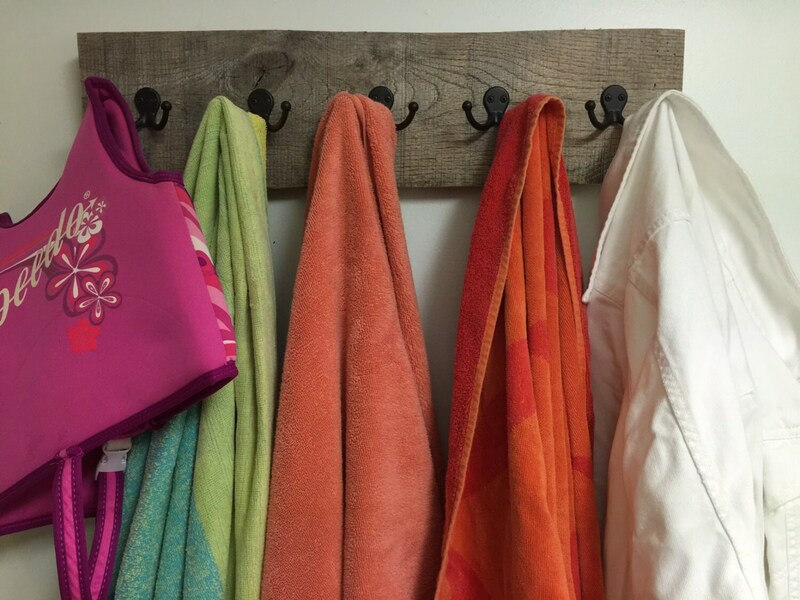 Put it in your front hall, mudroom, guest bath, or outdoor shower.This beautifully handcrafted wooden wall decor would look terrific in a beach house, cottage at the river, or in your pool house, entry hall or mudroom. The dimensions of this sturdy handmade wooden hanger: 23" long, approximately 5 1/2" high and 3" deep. 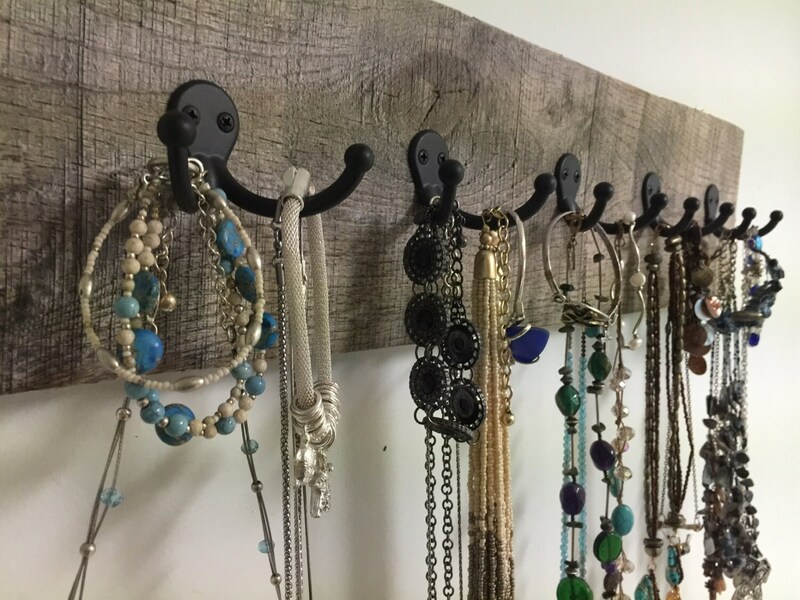 This wall hook/hanger can hold your coats or towels, or display your favorite jewelry, keys, dog leash; it can even just be a beautiful display by itself unadorned! This item comes with 2 ring type hangers already attached on each end in the back for easy hanging too. We recommend that these boards be hung from the studs in your walls or you can use anchor toggle bolts designed for use in drywall. Anchor/toggle bolts can be found at your local hardware store. We've positioned the center of the ring type hangers approximately one inch from each end of your board. Or, you can screw thru the wood to mount it.